"The kit was easy to use and the car turned out amazing! My son won 1st place in show for the Tiger's and 1st place in show overall!" Zoom down the track with your Bat Car! 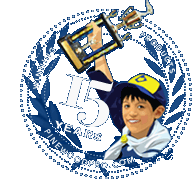 Competition doesn't stand a chance against the bat car pinewood derby kit! Includes designer body details, custom dry transfer batman decals, black accent material, incremental weights, templates and step-by-step illustrated instructions. - You need to purchase a car block, wheels and axles separately, they are not included in this kit. The bat decal is not the same as the DC comics bat sign, but looks cool enough. I like the kit, it looks really cool and got lots of favorable comments at our Pack derby. I mortised out a little square pocket just large enough to put a LEGO (TM) Batman (TM) character in it, and he looked right at home in this car. When I glued the rear fenders to the backing plastic, I made some larger bat fins, they look really cool. Working with plastic detail parts is a little tricky, but not too bad, you have to cut then out of a sheet and then glue them to a backing sheet. They really make the car. Overall a very nice finishing kit. You might want to align the wheels and get them adjusted before you put on the fenders, they may it difficult to work with the wheels once they are glued on. You could almost paint them separately and glue them after you have the wheels installed, just don't get glue on the wheel/axle area. Great car and easy to use! The kit was easy to use and the car turned out amazing! My son won 1st place in show for the Tiger's and 1st place in show overall! We did not add the weights that came with the kit and we regret doing that. I would recommend adding the weights for that added speed! Kit components were essential to create the 'Batmobile' my son desired. We did not build the plastic body accessories but used the recommended car shape template, decals and weights. Car weighed 4.5 oz. Would recommend adding additional weight to compete. Excellent car, turned a lot of heads, @4.6oz It won 1st in qualifying races, then took 3rd in District! It was a fast car, and a fun time! My son won the "most realistic" design from his pack - were on to the district. I was surprised that the kit arrived early. It gave my son and husband time to go to church and work on the car the same day that we received the kit. I am happy that I placed the order early. Everything that my son needed was there. He was impressed with the look of the car. The price is affordable.